When sofa shopping asking questions about the frame construction of the sofa can help you understand the durability of the piece of furniture. Most manufacturer’s will have this detail, and especially if they are proud of it. All sofas have padding not only for comfort, but also to cover the frame so the sharp edges are not felt through the frame. Depending on the quality of the sofa, the more layers of padding will be used. Ideally with a well padded sofa, you should be able to tap the back and sides of the sofa without it feeling or sounding hollow. On cheaper sofas this will be stretched across the frame, and arms will have fewer layers. Padding is especially important on the arms of the sofa if you want to put your feet over the arms of the sofa as you lay, or want the confidence to be able to perch on the arms of the sofa from time to time. 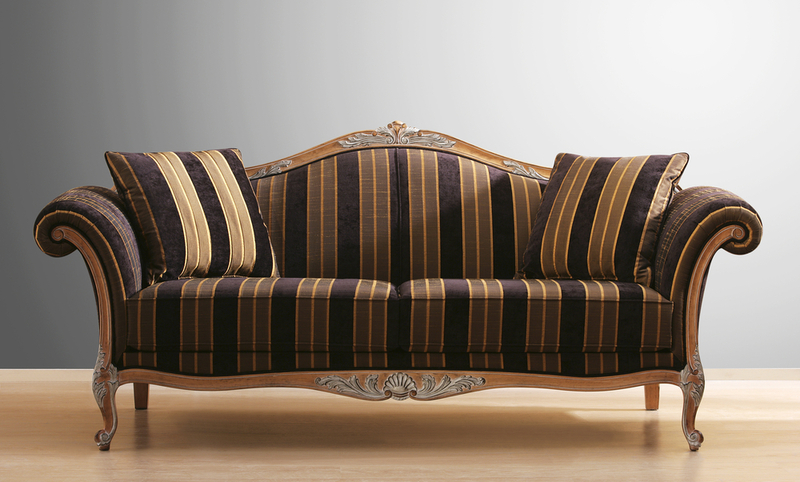 When it comes to sofa cushions, the most expensive sofa cushions are typically those which are spring loaded – similar to a mattress. This makes a firmer sit, so depending on your preferences the next best option is a mix between foam and down, which are a foam cushion surrounded by an envelope of down. Depending on the foam density, pure foam cushions can lose their firmness over time and may benefit from being replaced to avoid over compression. For sofas that you will be able to sink into, down cushions can feel luxurious and cosy, but the cushions will benefit from daily plumping. A good idea when sofa shopping is to unzip the cushions and see the filling and its density for yourself. Backing cushions should never have loose filling since all filling should be contained in an inner cover. Be wary of yellow foam, unless the price reflects it, it’s likely yellow foam will decompress more quickly, and with it less comfort. As a general rule, the tighter stitching and weave of fabric the better and some upholstery fabrics are more durable than others. Microfiber, leather and cotton are good choices for durability. Natural fibres like cotton and linen are often blended with synthetics (polyester or acrylic) to create extra durability, colourfast protection and stain resistance. We hope this guide has helped you understand the major components and make up of your sofas. If you have a tired looking sofa that you still love, we can strengthen the frame, repair any webbing or coils if used, and reupholster and repad a worn out sofa to look better than brand new! We think you’ll be amazed at the results! For Brisbane, Sunshine Coast, Northern NSW, and Gold Coast customers, Lounge Repair Guys can come to you as your go to service. Contact us today on 1300 101 510.